To celebrate turning 15 years old in 2017, we continue to share Blue Door Consulting’s most impactful projects. 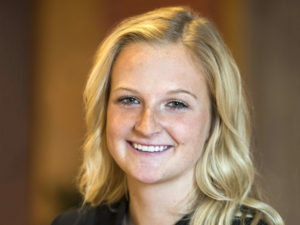 Our last post highlighted three marketing campaigns that gave back. This time we highlight three campaigns that yielded phenomenal results for our clients. 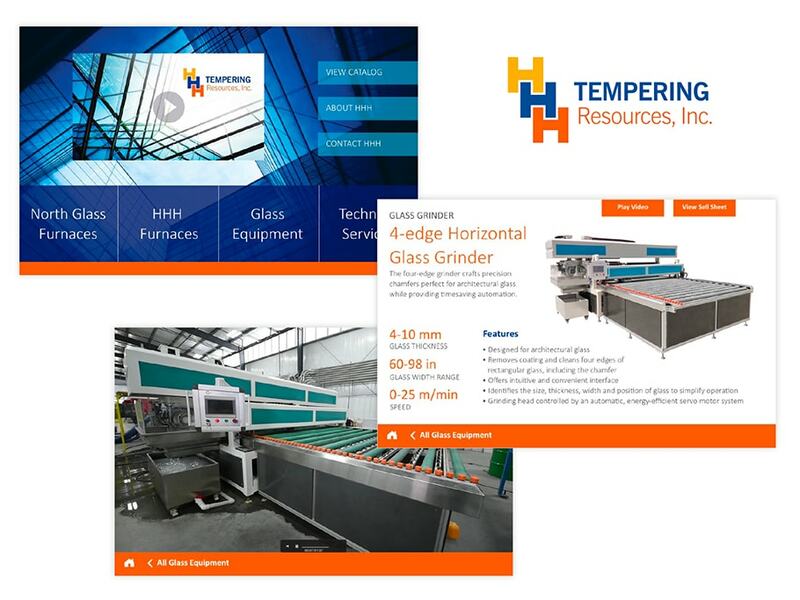 HHH Tempering Resources a distributor of glass tempering furnaces, was a small seven-figure company that was in need of a brand refresh to showcase its industry expertise. When HHH Tempering approached us, we were not shy about the work that lay ahead: our recommendation included not only a visual brand refresh but a newly designed and fuctional website. In addition, we developed a content marketing strategy that included blogs and videos, as well as a monitoring system and dashboard to track sales leads. Mike Synon, CEO of HHH Tempering Resources, expected the rebranding to boost sales by 20 percent to 30 percent. What actually happened was incredibly better-sales increased 900 percent in two years (yes, 900), website leads increased by 475 percent year-over-year and web traffic from organic search increased by 95 percent in 2016 alone. Not only did our work help to dramatically exceed expectations in the first year, but the content marketing and digital advertising strategy has continued to help the business grow exponentially in the years that followed. Jewelers Mutual Insurance Company asked Blue Door Consulting to assist with a social commitment campaign aimed at reinforcing and boosting its brand reputation. The ‘Band Together’ social media campaign was developed to build awareness with millennials, reinforce positive brand reputation in the jewelry industry with policyholders and elevate the company’s charitable giving reputation on a national level. Jewelers Mutual and Blue Door Consulting asked policyholders and consumers to vote on their choice of causes: St. Jude Children Research Hospital, Habitat for Humanity, Feeding America and some food banks in Canada. The goal was to raise $2 million for the winning cause. The campaign ran from June 2016 to August 2016. Within that short time, Blue Door Consulting created 123 social media posts using the hashtag #JMBandTogether on Facebook®, Twitter®, Instagram® and LinkedIn®. Together, Blue Door Consulting and Jewelers Mutual reached out to 50 lifestyle/fashion bloggers and 60 content seeders to help promote the charitable campaign. The results were remarkable. 40,283 votes were casted for a worthy cause. Jewelers Mutual reached its goal of raising $2 million for the crowdsourced winner, Feeding America. The campaign also generated 923 media mentions, 4.6 million total impressions on social channels and $1.6 million in Advertising Value Equivalent. Along with the success of the digital marketing campaign, Jewelers Mutual added 2,300 new leads to receive more information from their company and sold policyholders 28 policies with $7,717 in new Direct Premiums written. 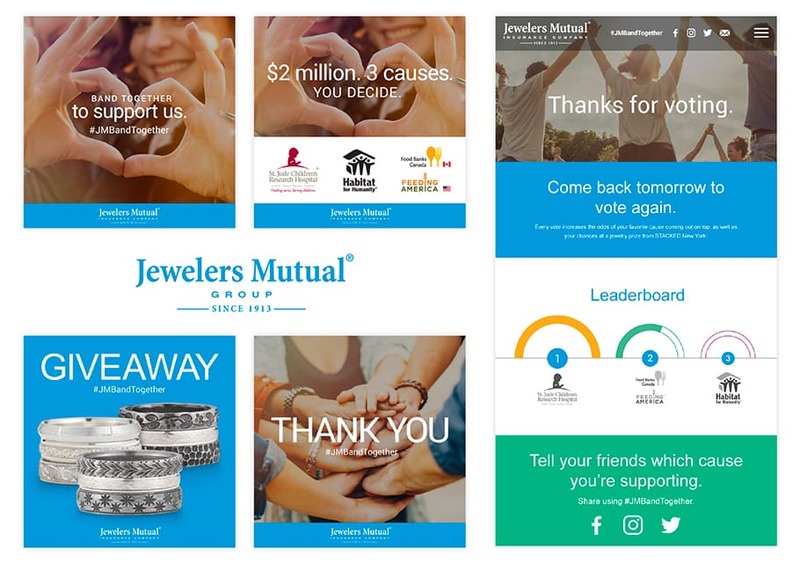 Best of all, the campaign helped drive Jewelers Mutual’s highest month ever in sales, and more importantly, changed the internal culture at the company for charitable giving based on cause-related marketing. 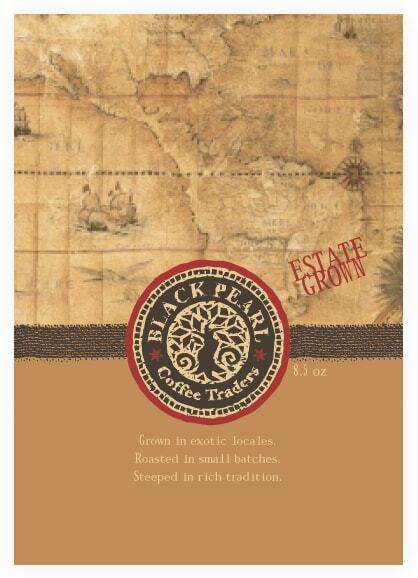 Bill Thimke, owner of Black Pearl Coffee Traders, found a passion for coffee through his numerous visits to Peru and Peruvian coffee bean farms. He came to Blue Door Consulting to help him share his love of coffee with family, friends and the community. Thimke was a coffee artisan before his time. He began by brewing coffee for himself and then started selling it for others to enjoy. To help Thimke turn his passion into a business, Blue Door Consulting began by building awareness in the Oshkosh area. To accomplish that, we created a logo and packaging, developed advertising content and advised Thimke on during his business endeavor. Blue Door Consulting was thrilled to be a part of helping Thimke bring his dream to life. Do you have a business goal you’d like to reach through marketing? We can help! Note: If you’ve been counting, you notice we didn’t feature 15 projects, one for each of our 15 years. We thought, instead, we’d dedicate the remaining project highlights to work yet to be done. We welcome what’s next!